Was doing a casual research on Africa. If you believe the corporate media, then the ongoing devastation in nations like the Democratic Republic of the Congo is all just a case of ugly tribal warfare. But that is a superficial, simplistic explanation that fails to connect this terrible suffering with the immense fortunes that stand to be made from manufacturing cell phones, laptops and other high-tech gadgets. 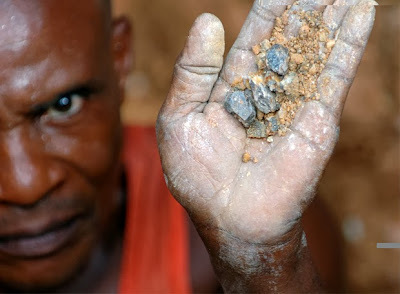 What is really at stake in this bloodbath is control of natural resources such as diamonds, tin, and copper, as well as cobalt - which is essential for the nuclear, chemical, aerospace, and defense industries - and coltan and niobium, which is most important for the high-tech industries. And, I keep on thinking!!! A few days back I had an opportunity to visit this monument of Mughal era located on Nowshera-Rajouri route (Rajouri District in the Jammu division, J&K). The monument dates back to 16th century AD. Emperor Jahangir passed away in 1627 A.D while travelling via Mughal road near Rajouri. 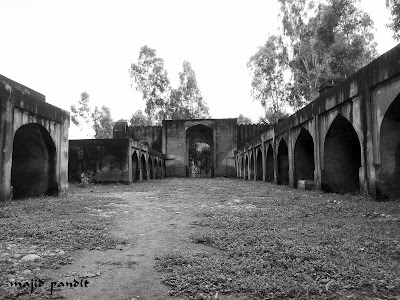 In order to avoid possible confrontation of succession among the princes, Noor Jahan kept the fact a secret from the people and the caravan and to avoid decomposition of the body the entrails were buried at this monument known as Chingus Sarai. Then the rest of the body was taken to Lahore for formal burial. 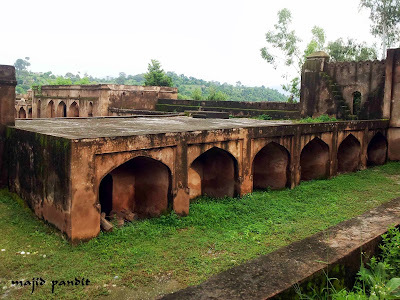 After the burial of entrails, this Sarai came to be known as Mughal Sarai-Chungus or Chingus Sarai.